RUSH Gives Back to its Own this Holiday Season – Learn How You Can Help! – RUSH, Inc. RUSH Construction would like to share the stories of two of our staff members, Jordan Tabor and Ralph Bush, and their incredible families. This holiday season, RUSH has pledged to give back to these two families, and make Christmas a little brighter for a few really amazing kids that have been incredibly strong in the face of some very serious illnesses. 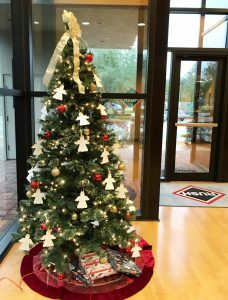 The staff at RUSH Construction has set up an Angel Tree in our office at 6285 Vector Space Boulevard, in Titusville, Florida. If you would like to join our staff in supporting these inspiring children and their families, we welcome you to choose an Angel to shop for, drop off un-wrapped gifts, or donate financially to one or both of the two families – An Amazon gift card is recommended for financial gifts. This is miss Peyton Arella, now 6 years old! Peyton is the daughter of RUSH Construction, Inc. staff member, Jordan Tabor. 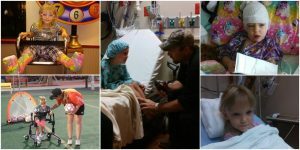 Born at 24 weeks, 1lb 11oz, Peyton met the world with 98% of her Cerebellum missing and fluid in her brain, a condition called Cerebellar Hyperplasia. She also had Retinopathy of Prematurity (ROP), retinal detachment, and suffered from a stroke due during her 128-day in the NICU due to a leak in her heart valve. Jordan Tabor and his family lost her three times before she was finally able to go home. Payton has since been in therapy to help her walk, talk, and move her right hand. She can now see without glasses and has Cerebral Palsy, a group of neurological disorders that permanently affect body movement and muscle coordination. 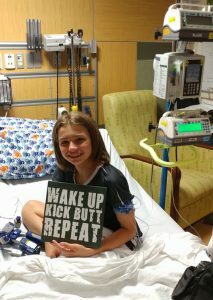 Against all the odds and with a lot of praying, Peyton plays soccer, and is a member of the Girl Scouts. She loves to swing, and does her best on the playground with the other kids. 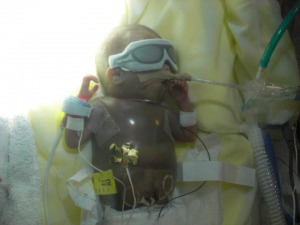 Peyton in the NICU as an infant. She had 6 leg surgeries last year to help her spasticity in her legs. 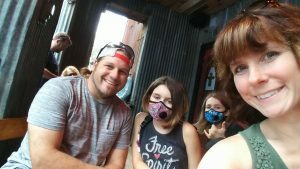 This past October, Peyton went into a 4 hour seizure. 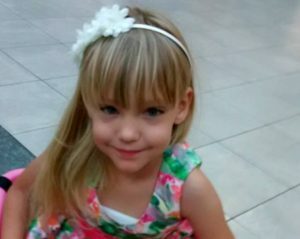 The doctors told the family that she might be brain dead, but thankfully, she recovered! Peyton was born in Las Vegas, Nevada. Jordan and his family moved to Vermont to be close to Dartmouth for brain surgeries, before moving down to Florida for her leg surgeries. The Tabor family left everything they had behind in both moves; uprooting Peyton’s older brother, James, and sister, Alyssa, from school. For James and Alyssa, the first 128 days of their baby sister’s life was spent in the hospital waiting room. The family ate in the cafeteria; that was the family’s life. 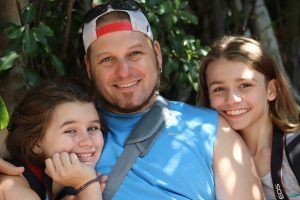 Ralph Bush, a staff member of RUSH Construction, Inc., is the father of two fierce warriors who battle life-threatening conditions. 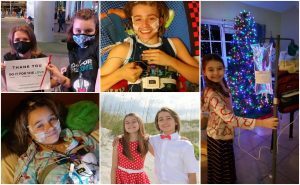 Will (age 14) and Sasha (age 12) have Primary Immunodeficiency Disease (PI) and receive weekly infusions of plasma pooled from thousands of donors in order to stave off serious infections. They also have Mitochondrial Disease (Mito). Mitochondrial Disease is a progressive disease that results from failures of the mitochondria, specialized compartments present in every cell of the body (except red blood cells). Ralph’s wife, Stefani, and 4 other people in her family also have this disease. The statistics for Mitochondrial Disease are sobering and heartbreaking, but the family continues to press forward with hope that research will eventually yield a treatment or cure in their lifetimes. They all have Dysautonomia (a condition where the autonomic nervous system does not work properly). In addition to all of this, young Sasha also has a very rare genetic mutation in her calcium channel gene that causes Episodic Ataxia/Familial Hemiplegic Migraine as well as Epilepsy. Both children take an arsenal of medications and have feeding tubes in order to sustain their bodies. Because of this, life for the Bush family involves a lot of traveling to doctor’s appointments (in and out of state), hospitalizations and ER visits, procedures, testing, and uncertainty. Both kids are ‘hospital/homebound’ – meaning that their health status is too fragile right now to attend school, so the school district sends a teacher to the house and she works with them in the home setting. Between 2015-2016, the family spent more than 100 days in the hospital for acute medical issues. 2017 is on par to rival the 2 years prior in terms of hospital stays. Because of their illnesses, Will & Sasha are part of an organization called Team Impact. Team Impact is a national non-profit organization that takes children with life threatening illnesses and pairs them with college sports teams. Sasha was paired with the Women’s Basketball team at Florida Institute of Technology, and Will was paired with the Men’s Lacrosse team at Florida Institute of Technology. It was there that Will met Al Forbes’ son, Kyle. Over the course of the year, the Forbes family got to know Will, Sasha, Stefani and Ralph – and his work history/skill set. Ralph eventually applied for a position at RUSH Construction, Inc., and the rest was history! Stefani, also battling Mitochondrial Disease and Dysautonomia, cares for the children while Ralph is working – she does all the appointments, all the traveling, all the hospital stays, most of the infusions, all the medication management, all the management for supplies for feeds and infusions, all the insurance and equipment authorization management. She also works on teaching the children how to be their own advocates. A musician, writer, and a public speaker, Stefani uses her music and her story to help others on their journey through uncertainty. Will and Sasha are the two bravest warriors you might ever meet. They battle invisible monsters that have waged fierce wars inside their little bodies since the moment they took their first breaths. They have endured more in their lives than any human being should ever have to endure, and yet – they keep going, they keep smiling, and they keep striving to be the best, most loving, and most faith-centered kids they can be. While the Bush family’s story is one laced with heartache and uncertainty, HOPE shines through the shadows. They embrace every day with grit and grace, focused on the things that truly matter. Click here to watch a video storyabout their gratitude of the love, support, and strength they’ve experienced despite the difficult times.